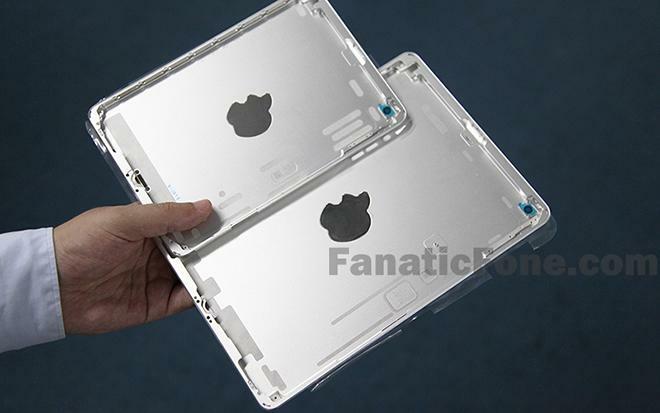 Coming one day after photos of a purportedly leaked next-generation iPad rear casing hit the Web, a new set of images posted on Friday allegedly reveal the same component bound for Apple's iPad mini follow-up. 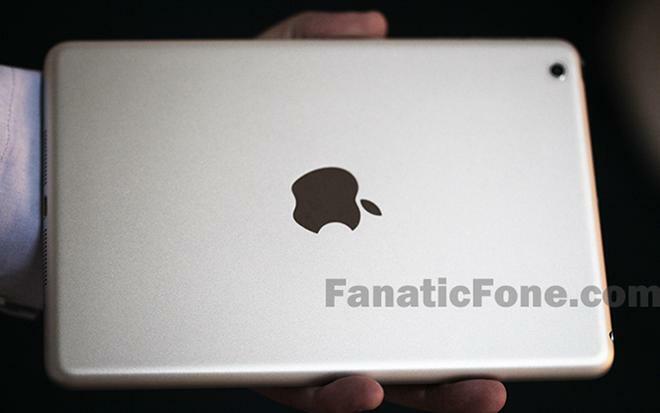 The new pictures from Fanatic Fone, the same website that put up Thursday's "leaked" next-gen iPad photos, supposedly show a new iPad mini shell with an embedded Apple logo, a change from the current model's printed emblem. 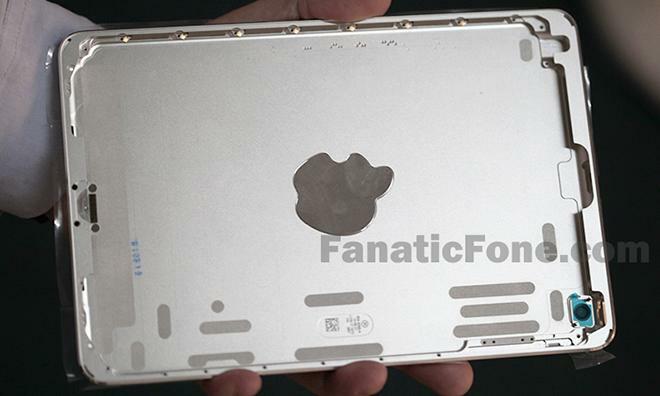 Like the existing full-size iPad, MacBook lineup, and other products, Apple uses a molded plastic logo design as an antenna window, as aluminum is not radio-transparent. This is also the case in Apple's all-in-one iMac, which positions the computer's antenna array directly behind the Apple-shaped cut-out. While the site claims the part is authentic, the author points out that it lacks the "iPad" moniker and associated government regulation certifications. It is therefore unknown if the component is a production version or a prototype. Aside from the Apple logo, the internal and external design appears to be unchanged from the first-generation model, with support structures for a rear-facing camera, dock connector, speakers and physical power and volume buttons. Apple is expected to produce a follow-up to its 7.9-inch tablet, though release date and specification rumors vary widely. Most recently, The Wall Street Journal reported yesterday that supply chain sources said Apple would be shipping a Retina display-toting mini sometime during the fourth quarter.